(WJHL) – A leading voice in the republic party spoke at a local college in the tri-cities Thursday night. Former Speaker of the House and former presidential candidate Newt Gingrich spoke at a rally at East Tennessee State University. Before the event, protestors gathered outside the D.P. Culp center on the ETSU campus. Most told us they were from the Tri-Cities and aren’t fans of Gingrich’s conservative stance on key issues. Inside the potential voters listened as the Gingrich talked about civility in politics, in a campaign season that has been filled with personal attacks. From the behind the podium, Gingrich told a crowded auditorium he’s concerned about his country. He said it was on the verge of what he thinks could be one of the most important elections in American history. “How do we talk about big ticket ideas that don’t lead us to be nasty and mean spirited and hostile? 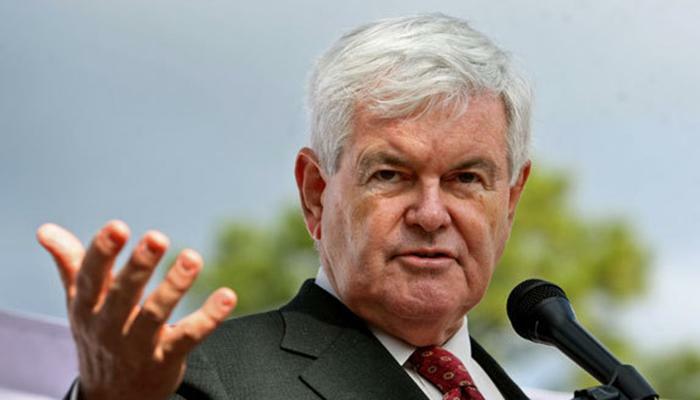 I think that is an important part of it”, said the former Speaker of The House Gingrich. After his speech he took questions, and many wanted to know what his thoughts about the presidential front runner in his own party, Donald Trump. When as about Trump Gingrich said, “I think Trump has had a very bad two weeks. I think he needs to take a deep breath and move to a new plateau or he is not going to get there. Gingrich said he thinks, whatever happens in the next few weeks the GOP nominee at the convention will be one of the candidates currently on the ballot. Gingrich says he can see a scenario in which the distant third in the race wins the ticket. After the speech, many folks in attendance said they were glad that such an important man in the history of this country’s politics made a stop in our area.